We’ve all seen it: Toys strewn all over the floor, throw blankets tossed messily across the couch, cords laying in a heaping mess beside the TV. The living room is a central space for any household, and it is often the first room any guest will see when they walk into the house as well as the room guests will spend the most time in. A disorganized, messy living room is an unpleasant sight, and it detracts significantly from the potentially relaxing, laid-back atmosphere that most living rooms aim for. If this is speaking to you so far, fret not! With our amazing list of handy living room organization ideas and hacks, you can transform your living room from a disheveled mess into a beautifully tidy space for relaxing and entertaining. Read on for more! If you have space for shelves along the walls somewhere in your living room, make use of that space. And not just the first few vertical feet: We recommend adding bookcases and shelving all the way to your ceiling, and putting the lesser-used items such as previously-read books near the top. If you have vaulted ceilings and/or you are a bit ‘vertically challenged’, consider a wooden ladder which can add a nice decorative touch as well as help you reach those higher shelves. Your local home improvement store can help you install high shelves and a ladder in a way that is safe and looks great. Living rooms are a very versatile space, and this is often the reason why they get so cluttered. From a child’s playspace to a TV room to a seating area for entertaining guests, living rooms get used in a variety of ways. Instead of using the whole space for all purposes, consider organizing your living room in such a way as to create ‘zones,’ or room dividers, for its different uses. Maybe your kids like to leave toys and board games all over the floor. Start by designating a corner of the room for their toy storage, and using some bins or shelves to organize it nicely. Then, consider laying a small rug in that corner and designating it as the ‘play area’. Now, think of additional activities that your living room is commonly used for. Does your husband love to read in his favorite chair and pile up his books and magazines on the floor? Perhaps that chair’s ottoman could be switched out for one that doubles as a storage container. Now, your husband has a designated reading area with an added perk: no mess! Creating zones with designated storage areas can make a huge difference in your living room organization. Coffee tables are a central piece of furniture in the living room, and they tend to accumulate junk. From TV remotes to magazines to food crumbs, the surface of your coffee table can turn from a pleasant living room focal point to a jumbled mess all too quickly. It is unfortunate that such a central and visible part of the living room is so prone to becoming one of the messiest. We feel that using your coffee table correctly is key to living room organization. Find out how to choose the right coffee table for your living room by reading our related article. One way to achieve this would be to invest in a multifunctional coffee table if you have not already. Look for one with shelves, drawers, and compartments - the more tucked away space to store your junk, the better. You could stack board games, books, and magazines on the bottom shelf and use the drawers for TV remotes, extra coasters, and any other random items you might otherwise leave strewn across the surface of your coffee table. Some families even utilize a vintage trunk to replace their existing coffee table. The trunk provides loads of storage space and, in the right room, can add style as well as functionality. If you’re not a big fan of trunks, modern accent chests are another storage option. If you already have a simple coffee table with just legs and a top, and you feel unwilling to replace it, you can still utilize the space under the table for storage. 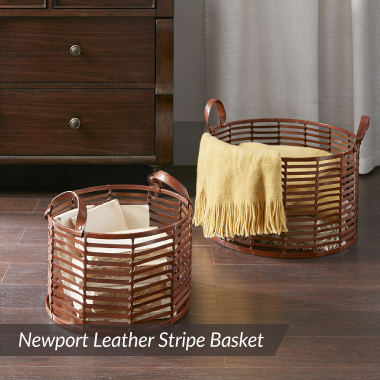 Try decorative bins or stylish storage baskets that slide under your coffee table, giving you a place to stash random items without sacrificing style. Sometimes, all you need to do to start keeping a room tidy is to rearrange a bit. Perhaps there is a chair or two that you never use or an area of the living room that simply does not flow properly. Try out different arrangements and keep in mind that your living room furniture can always be moved back if you don’t like a particular layout. Because furniture pieces are the largest items in the living room, it makes sense to organize these first and then start attacking the little stuff. Decorative trays come in many shapes and styles and can add storage space to a room as well as beauty. 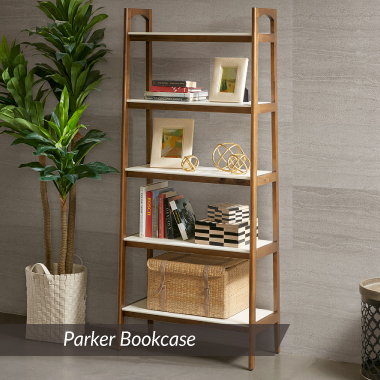 They are commonly placed on coffee tables or side tables to hold books, TV remotes, glasses, decoratives, etc. Trays are great because they can be easily picked up and move elsewhere if the surface is needed for another purpose. Furthermore, with available materials such as reclaimed wood, wicker, and copper, you can add an accent piece to your living room that brings its own flare while adding functionality. In many smaller living rooms with simpler layouts, the TV media console is one of the only pieces of furniture with substantial storage. Utilize the TV console table to its full potential by keeping its inner shelves organized and clutter-free. If you aren’t entirely sure what a console table is used for, check out our related article on the subject. 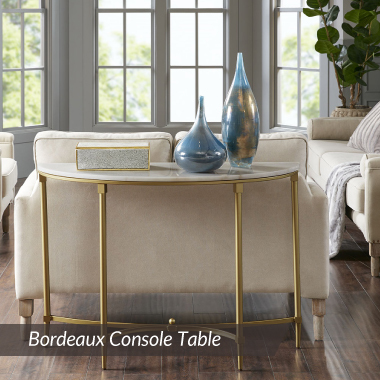 If you are in a position to upgrade or are in the market for a new console, consider a larger one to accommodate storage of random living room items. Or, make your own by turning a cubby shelving unit horizontal and placing your TV on top. You could build upon this idea by adding more shelving on either side of the TV, essentially wrapping it with clutter-eliminating storage options on three sides. Many families opt not to include a wastebasket in the living room because they are unsightly and can smell unpleasant. That said, if you regularly have trash lying around the room or cluttering surfaces, it might be time to consider getting one. Try a style that matches the existing decor of the room, and be sure to get one with a lid and use deodorizing trash bags if there will be food scraps in the mix. We all have that one friend who just can’t seem to get a handle on the cords in their living room. But what if that friend is us? Fortunately, this is such a common problem that many ingenious solutions are already available on the market. Cable caddies stick behind the TV console and can manage several cords. To completely envelop your cords in a tube, check out cable zippers. With the right combination of these options, you should be able to tidy up that unsightly rat’s nest of cords in no time. Most living room furniture orientations include one to two feet of space between the wall and the sofa. Often, this is unused space - and in living rooms that are particularly cramped and/or messy, this is simply unacceptable. In this space, you could place multiple trunks for storage, or even fit a cabinet or horizontal bookcase. Some apartments and small homes feature a “coffee table” behind the couch. Instead of the traditional coffee table style, these are shelves that run the length of the couch and fill the space between the wall and the back of the sofa. They free up space in the middle of the living room and can look quite stylish. Oftentimes, we let our media collection pile up without even thinking about whether we use all our disks and tapes. On your next rainy Sunday afternoon, consider taking some time to go through your media collection. You may find many duplicates or titles you simply will not watch or listen to anymore. Start by tossing these or donating them. Next, you can organize your collections alphabetically and impress everyone with your attention to detail. Have you gotten this far, only to find that your living room mess is not yet contained? No worries, we have you covered. For families who have extra junk and really need to go the extra mile in finding a place to put it, consider decorative storage options. These could include baskets or bins which are easily moveable from one placement to another. 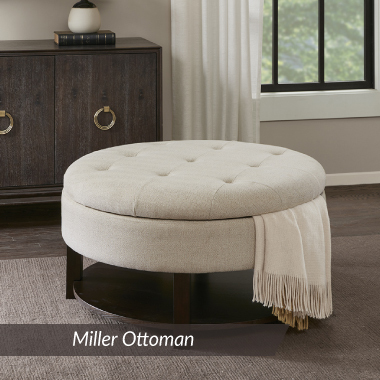 They come in a variety of materials and styles so you can match your existing living room furniture and decor while adding much-needed storage space! Decorative storage options are a go-to for many interior designers who are working with families that tend to accumulate junk. Because of their versatility, relatively low cost, and multi-purpose functionality (think: side table meets wicker storage bin), these are a primary option for high-mess families. We are hesitant to call this a “hack,” but let’s face it: The most overlooked aspect of a perfectly tidy living room is, well, cleaning. No matter how many clever storage options and furniture configurations you implement, you still have to organize your space. Start with the floors, putting away any unnecessary items and returning everything to its designated ‘zone.’ Next, move on to surfaces; for example, by simply stacking and rearranging items on your coffee table, you can greatly increase the feel of tidiness in your living room. Finally, arrange pillows and throw blankets in a visually pleasing manner on your couch and other seating areas. Another imperative aspect of living room organization is to avoid over-accumulating things. We already covered how you can downsize your media collection, but do not hesitate to extend this philosophy to your books, toys, and other items. Do you really need all this stuff? If the answer is yes, do you really need it on public display in the living room? Reducing your amount of mess by throwing away or otherwise removing unnecessary items is a key part of having a beautiful, organized living room!